Many people like to use their odl SIM cards in their old BlackBerry phones and put them into the new HTC phones so as to do a direct contacts transfer. But what when the SIM card in your BlackBerry phone is not suitable to the HTC phone? Is it still possible to do the contacts transfer between the HTC and BlackBerry phones with one click? The answer is YES. All what you need is a professional phone to phone data transferring tool. Phone Transfer is what I want to recommend to you to transfer not only contacts, but also text messages, apps, music, videos, photos and more from one phone or tablet to another, which is in Android, iOS and Symbian systems. It is hassle-free to complete the contacts transfer between HTC One M8/M9 and BlackBerry. A few simple steps are enough: Launch Phone Trnasfer, Connect the two phones to computer, Select the contacts you want, and Start the transfer process. 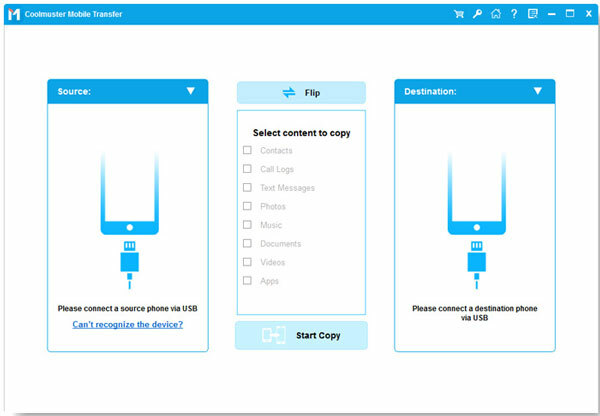 Free download the right version of the Phone Transfer via the following buttons, Windows users choose the Windows version and Mac users choose the Mac version. Then, read the guide below to learn more. How to Copy Contacts from Blackberry to HTC One M8/M9? 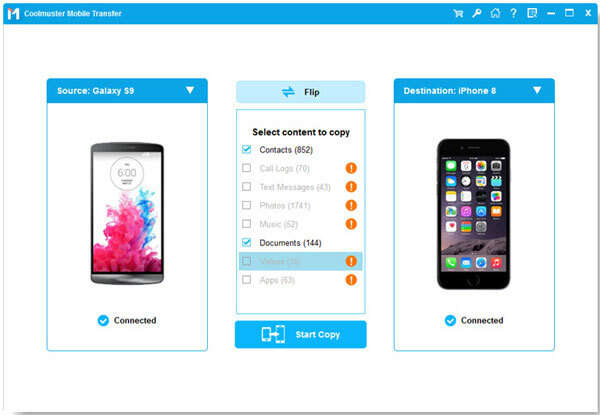 To get started, launch the Phone Transfer on your computer and it will show you its primary interface as following, with three different options displayed on the interface. Just choose the first "Phone to Phone Transfer". Use two USB cables to connect your HTC phone and BlackBerry phones with the computer. Once they’re connected, Phone Transfer will detect and show them in the interface. All the transferrable file types are listed on the top. If you just want to transfer contacts, you should only mark the contacts you want and click the transferring icon to start the contacts transfer from your HTC to BlackBerry, or from BlackBerry to HTC.